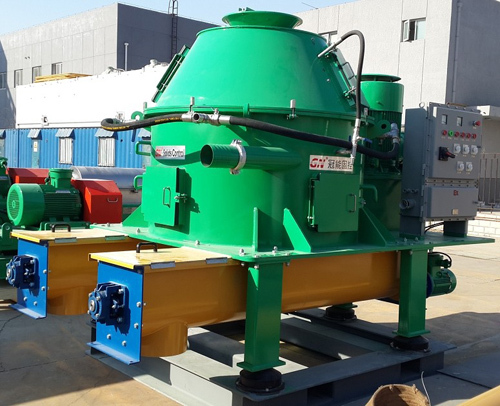 The Vertical Cuttings Dryer (also called verti-G Cutting Dryer) is a vertical type centrifuge that has been proven to be one of the most effective waste management equipment for oil- or synthetic- based drilling operations. The cuttings dryer can effectively clean the drilled cuttings, recover the maximal drilling fluids and reduce the volumes of drilling wastes that has to be transported from well site for disposal. GN also offers drilling waste management tank system. 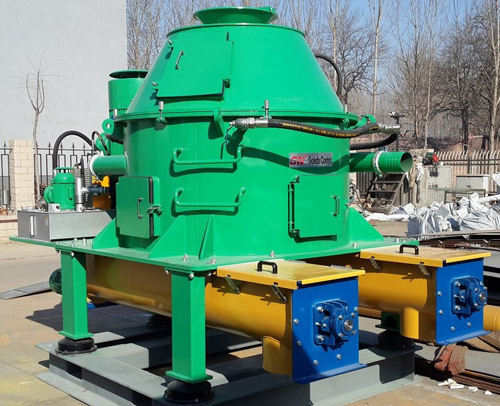 The Vertical Cuttings Dryer uses centrifugal force to dry drilled solids in oil or synthetic base fluids. A stainless steel screen bowl traps“wet” solids and accelerates them up 900RPM with G force up to 420. Liquid is forced through the screen bowl openings, while “dry” solids are extracted by the angled flights attached to the cone, which rotate slightly slower than the bowl. Tungsten carbide protects the flights from abrasive solids and ensures long operational life. This aids in maintaining a constant gap between the scroll and screen bowl, which is crucial for proper operation. GN cuttings dryer has been done strict balance testing for all major rotary components to minimize vibration & noisy. GN Vertical Cuttings Dryer fixed with individual oil lubrication system with automatic alarm for pressure limit. The main motor and oil pump motor is interlocked with each other for avoiding the start of the main motor prior to the start of the oil pump motor. The cuttings dryer has a few options: Fixed Speed or Variable Speed, with or without bottom auger system. 4. Fresh Water Flushing System removes solids accumulations inside the dryer. 5. High Chrome Anti Abrassive Flights ensures longer service life. 6. Positive Pressurized electric control cabinet with PLC + VFD operation. GN cuttings dryer can feed at 30 to 50 ton one hour with 420 G’ operating at 900RPM rotation. For oil based drilling cuttings, the oil on cuttings is less than 5%. With special air knife system, the cuttings dryer can also be used for water based mud cuttings. Please watch the onsite video of GN cuttings dryer.